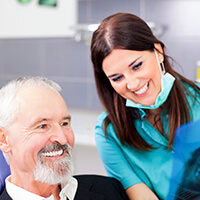 At Rogersville Family Dentistry, we aim to deliver exceptional oral health care in the most minimally invasive, comfortable way. To ensure longevity for the dental work we create, our dental labs use quality porcelains and durable materials that mimic natural teeth. Dr. Gunnin constantly explores the latest dental technology to provide a rewarding dental experience for patients of all ages. For instance, we use the WaterLase dental laser, instead of a dental drill, to remove tooth decay and prepare teeth for restorations. This innovative tool also debrides gum disuse in periodontal therapy. Dr. Gunnin offers CEREC crowns, which are custom, porcelain restorations designed, milled, and placed in a single visit. 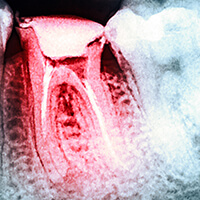 The most commonly extracted teeth are third molars, commonly referred to as wisdom teeth. These teeth are the last to erupt in the smile line, and they often cause oral health concerns like crowding, shifting alignment, or impaction (the inability of a tooth to erupt from the gums). 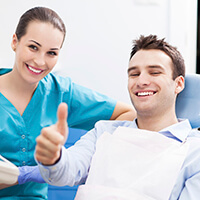 If we determine your wisdom teeth may create an issue, we will likely recommend preventive extraction to maintain your optimal state of oral health.